Situated in the gorgeous Blue Ridge Mountains in North Carolina, a state known for its barbeque and awe-inspiring landscapes, Asheville is a city of beauty and innovation. 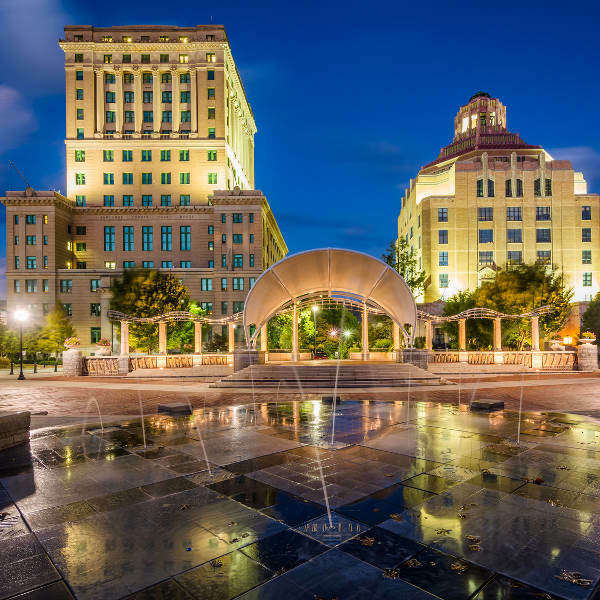 The city is home to a lively arts scene, historic architecture, and over 87 000 residents. Popular attractions include the Downtown Asheville Art District, Blue Ridge Parkway, and Biltmore Estate. Prepare yourself for a memorable adventure, because cheap flights to Asheville are now available for a limited time. Asheville is the home of Asheville Regional Airport (AVL), which is a 15-minute drive from the city centre. Asheville is one of the finest locations for those who love adventure and the great outdoors. The surrounding landscape offers numerous hiking trails, zip lining canopy tours and thrilling hot-air balloon rides. This North Carolina destination’s history is revealed through its collection of architectural structures from varying periods. Discover magnificent buildings such as the Biltmore Estate and the Art Deco city hall. With a location in the Blue Ridge Mountains, you know that Asheville will treat you to magnificent views. Other beautiful sites include Chimney Rock State Park and Craggy Gardens. Asheville is a popular place to visit during the warmer seasons of spring (March – May) and summer (June – August). The spring months bring more hikers and you can enjoy fresh produce at the local eateries. While summer brings plenty of heat, you can get relief with frequent breezes and various elevations. This season, however, also sees an increase in visitors. If you’d like to experience the events during these seasons, such as the Biltmore Blooms and the Mountain Dance & Folk Festival, you’d better buy your tickets and book your hotel rooms a few months in advance. If you’re determined to get the cheapest hotel deals, the best time to visit Asheville is during winter (Mid-November – February). The lack of activity during winter means lower prices and a drop in the number of visitors. You may want to focus on visiting during mid-January to February though, since Asheville embraces the holiday spirit from early November to early January, with Christmas celebrations at the Biltmore House. Seize the opportunity for thrilling adventures through the Blue Ridge Mountains with a visit to Asheville. 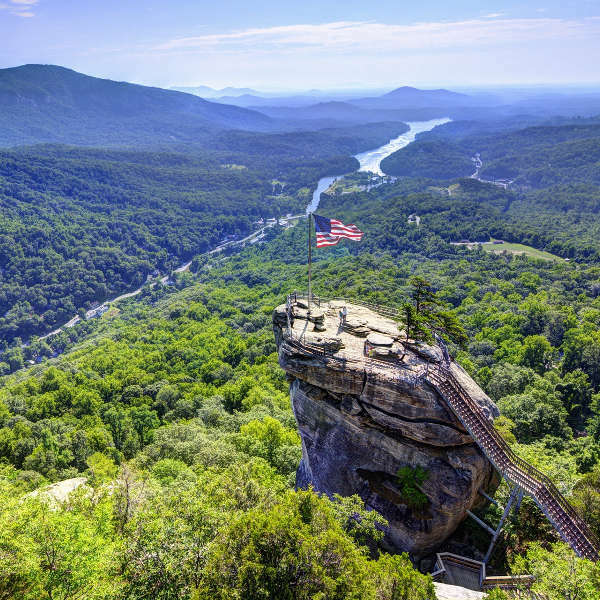 This American destination is perfect for those who love spending time outdoors, with numerous hiking trails at the Blue Ridge Parkway and Mount Mitchell State Park, and zip line canopy tours and hot air balloon rides over the area. Explore the Downtown Art District, which is home to many galleries and museums, such as the Folk Art Center and the Asheville Pinball Museum. Art lovers will get even more with events throughout the year, including First Fridays, Downtown Asheville Art Walk and Greening Up the Mountains. Peruse the collection of items at more than 30 local stores and boutiques, and sample the delicious dishes at various restaurants, cafés and coffee shops in Downtown Asheville. 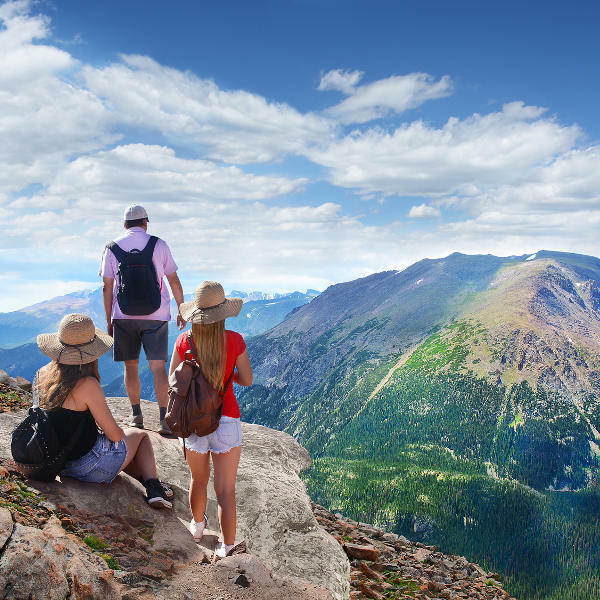 Compare several airlines, and book your cheap flights to Asheville online at Travelstart! Practise basic common sense when exploring Asheville, such as not walking alone at night and keeping your valuables in a safe place and out of sight.